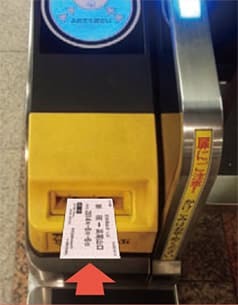 This great discount ticket combines the round-trip ticket from any station on the Keio or Inokashira Line to Takaosanguchi Station, and either the Mt. Takao Cable Car or Chair Lift (round-trip or one way). Passengers purchasing the discount fare receive a set of four separate tickets. Each ticket is used for a different leg of the trip. Check the individual tickets against the illustrations below. Insert Ticket 2 into the automatic ticket gate to embark for Takaosanguchi Station. Insert Ticket 4 into the automatic ticket gate for return trip. *Lost tickets cannot be replaced. Keio Amusement Passport is a passport combining the free pass to one of the amusement parks along the Keiō Line and Inokashira Line along with the one-day train ticket. *Pool WAI is charged separately.Please indicate the ticket with 500 Yen at the Pool WAI enatrance to use the Pool WAI. The Tokyo Explorer Ticket combines a discounted Keio round-trip ticket with the One-day Economy Pass of Toei Transportation. *The ticket is valid only on the day of issue. *Rest of the route becomes invalid if you make a stopover on Keiō Line and Inokashira Line. Keio 1DAY Ticket is an amazing deal allowing to board any route of Keiō Line and Inokashira Line as many time as you want. “Greater Tokyo Pass” is a Plan Ticket which allows unlimited rides for 3 days on railway lines and streetcars operated by 12 companies and ordinary fixed-route buses of 51 companies in the Kanto area.